From 9 – 12 November, the Pan African Space Station (PASS) landed in The National Gallery of Zimbabwe (NGZ) in the centre of Harare. In collaboration with visual artist Kudzanai Chiurai, who launched his first ever solo exhibition in his home country titled ‘We Need New Names’, Chimurenga installed the PASS studio as a public research platform towards our new Zimbabwe focused issue of the Chimurenga Chronic. Looking into the inventions of Zimbabwe, the programming examined music as the paradigm through which the country and region’s political history is told and archived. Whatever Zimbabwe is, and is becoming, already exists in the sound-worlds produced in the region. 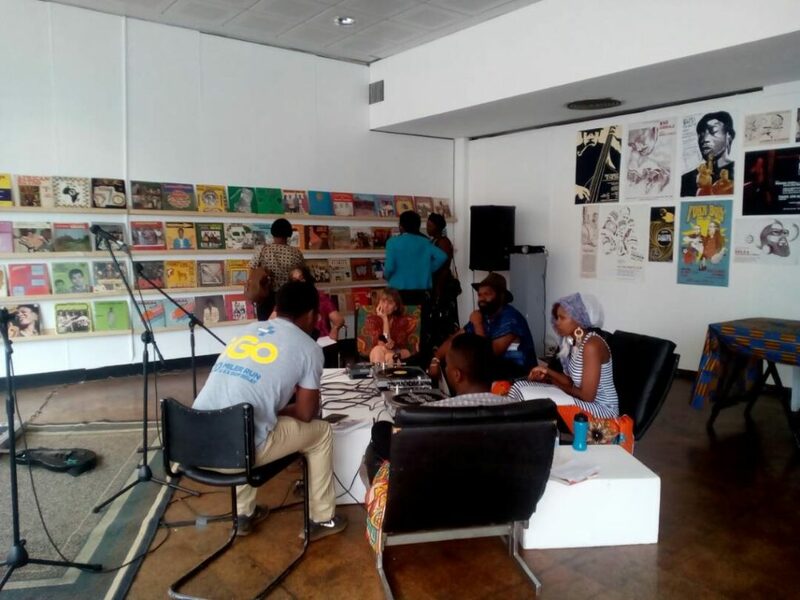 Dwayne Kapula, a Zimbabwean DJ and vinyl archivist based in Johannesburg; Irene Staunton and Njabu Mbono – publishers at the Zimbabwean publishing house Weaver Press; Joyce Jenje, a Zimbabwean writer and ethnomusicologist; The Monkey Nuts, an experimental music performance and production collective; Robert Machiri, a music researcher and archivist based in Johannesburg; Rumbi Katedza, a Zimbabwean filmmaker and radio producer based in Harare; Sbu ‘The General’ Nxumalo, a writer and artist based in Johannesburg; Tinashe Mushakavanhu, a writer and editor based in Harare; Tinofireyi Zhou (aka Aero5ol), an artist and poet based in Harare; Zimbabwean musician Virginia Phiri, from the iconic Zim-rock group Wells Fargo and many more.